As New Delhi and Islamabad trade nuclear threats and deadly attacks, a brewing war over shared water resources threatens to turn up the violence. Early on the morning of Sept. 29, according to India’s Defense Ministryand military, Indian forces staged a “surgical strike” in Pakistan-administered Kashmir that targeted seven terrorist camps and killed multiple militants. Pakistan angrily denied that the daring raid took place, though it did state that two of its soldiers were killed in clashes with Indian troops along their disputed border. New Delhi’s announcement of its strike plunged already tense India-Pakistan relations into deep crisis. It came 11 days after militants identified by India as members of the Pakistani terrorist group Jaish-e-Mohammed killed 18 soldiers on a military base in the town of Uri, in India-administered Kashmir. Amid all the shrill rhetoric and saber rattling emanating from India and Pakistan in recent days — including India’s home minister branding Pakistan a “terrorist state” and Pakistan’s defense minister threatening to wage nuclear war on India — one subtle threat issued by India may have sounded relatively innocuous to the casual listener. New Delhi, Sept. 30: By the time the bullets and shrapnel tore through him, Capt. Jaideep Sengupta's men had already outflanked the militants. The bullets and metal pierced the 26-year-old troop commander's stomach, thigh and chest. Despite being ambushed and bleeding profusely, he kept firing while also manoeuvring another team behind him. The commander of No. 3 assault troop was leading all of five men on a search-and-destroy mission on the Tunnukkai-Mankulem Road in the Jaffna Peninsula. It was February 5, 1988. Operation Pawan was in full swing. The Indian Peacekeeping Force (IPKF) was fully committed to Sri Lanka in a tragic chapter in the history of India's armed forces. But that was not known then. Today, Col. Jaideep Sengupta, 54 years and now retired, is heading to the New Delhi railway station to catch a train to Calcutta. It is Mahalaya and the pujas can be smelt. His unit, the battalion he served in and for which he was awarded the Vir Chakra gallantry medal, is in Jammu and Kashmir. Our Constitution shares something with Leo Tolstoy. ‘War and peace.’ Those three words, written exactly like the title of his classic novel, comprise Entry 15 in the Union List of our Constitution. In mindscapes as ordinary as mine, this simply means that the Union of India, and the Union of India alone, can decide when to declare war, when to return to peace. We are almost at war. “Almost” because war has not been declared by the Union Government or the President who, contrary to popular belief, is not ‘Supreme Commander of the Armed forces’ but in whom the supreme command over our armed forces vests. The point of this quibble is that the President in declaring war (if and when he does) acts on the aid and advice of the Council of Ministers headed by the Prime Minister. We have been at war five times before. And all but once with the same country, Pakistan. In 1947-48, 1965, 1971, 1999. Was war ‘declared’ in all those four cases? India will have to devise and pursue the logic of a long period of bilateral disengagement. It would be foolish for us to imagine that Pakistan would have learnt a lesson from this experience and would mend its ways. Uri was the last straw. The Indian military action across the Line of Control was waiting to happen for many years now. It finally did. 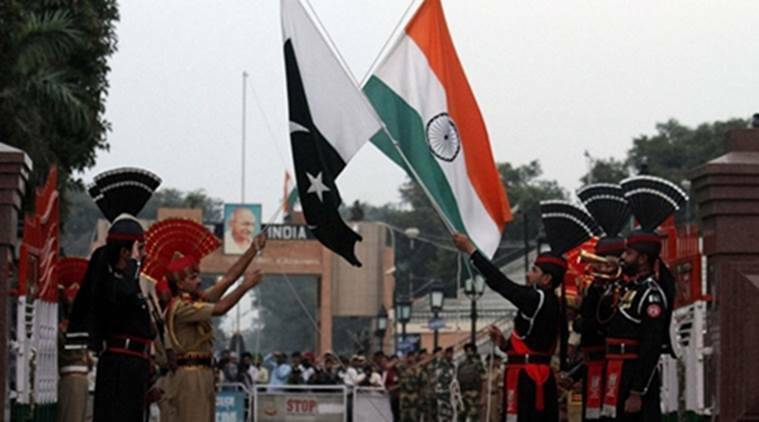 The fact is that a “cold war” of sorts has been on between India and Pakistan since November 2009. Pakistan has done little in these past seven years to respond to Indian concerns about terrorism in the region emanating from territories under its control and command. Going forward, the challenge for both countries is to manage a long period of bilateral disengagement. Our regional security environment remains problematic. Pakistan is now structurally incapable of normalizing ties with India. The armed forces and the extremist groups nurture hostility towards India. The civilian government is not fully in control. Pakistan's use of terrorism as an instrument of State policy continues, as the latest attack in Uri demonstrates. We cannot isolate Pakistan internationally if we do not rupture our own ties with it first. Our quest to have Pakistan declared a terrorist state by the United States of America or the United Nations will not succeed. We could not get even Masood Azhar declared a terrorist by the UN security council. Both China and the US will not let Pakistan be declared a terrorist state. The US cannot do business under its laws with such a state, whereas China's iron ties with Pakistan are known. Narendra Modi has laid down the gauntlet. Sari-and-shawl exchanges, then birthday diplomacy, failed to produce breakthroughs with Pakistan. Cross-border terrorist attacks continued. This week, New Delhi signaled the end of its patience by expanding its diplomatic coercive strategies as well as military actions to deal with terrorism and Pakistan. On September 18, four terrorists crossed the Line of Control in Kashmir and mounted an attack on an Indian army base in Uri, resulting in the deaths of 19 Indian soldiers. India pointed to two Pakistan-based terrorist groups, the Jaish-e-Muhammad (JeM) and the Lashkar-e-Tayyaba (LeT) as perpetrators. Pakistan first rejected blame, calling it India’s “habit” to blame Pakistan for terrorist attacks. Then, Pakistan’s defense minister proclaimed in a looking-glass theory that Indian authorities had mounted the terrorist attack themselves, as an “inside job.” As if that weren’t irresponsible enough, on September 28 Pakistan’s defense minister gave a television interview in which he threatened the use of nuclear weapons against India. Maharaja Hari Singh legally signed the Instrument of Accession on October 26, 1947 as the "Ruler of Jammu and Kashmir State, in the exercise of my sovereignty in and over my said State" (as empowered vide the Jammu and Kashmir Constitution Act of 1939 also) and declared,"I accede to the Dominion of India". It was legally accepted the next day, October 27, 1947, by the governor-general of India. Subsequently, the constituent assembly of Jammu and Kashmir ratified the accession to India and a mutual decision was arrived at by the Delhi agreement of 1952 about the future relationship between Srinagar and New Delhi. Still later, the territory of Jammu and Kashmir was defined by the Indian Constitution (Seventh Amendment) Act 1956 as "The territory which immediately before the commencement of this Constitution..." [as the Constitution of India came into effect from January 26, 1950, whereas Jammu and Kashmir had already acceded to India on October 26, 1947] "...were comprised in the Indian State of Jammu and Kashmir". Thus it was made clear that the Jammu and Kashmir territory includes the area of the State at present held by Pakistan and which is not 'de facto' under India's control. The United Nations security council too recognized the sovereignty of the government of Jammu and Kashmir over the whole area, which includes the area in the hands of the tribesmen of Pakistan. A terrorist attack like the one on an Indian Army camp in Uri “escalates tensions”, United States have said, asking Pakistan to take action against United Nations-designated terrorist outfits and delegitimise them. “Obviously, an (terrorist) attack like that (in Uri) escalates tensions. What I don’t want to do is try to get into, you know, some sort of broad characterisation one way or the other but obviously an attack like this is horrific and...”, the State Department Spokesman, John Kirby, told reporters. “But the Indian response is that -- is that the kind of escalation that Secretary Kerry was warning against?” the journalist asked referring to the telephonic conversation between the Secretary of State John Kerry and the External Affairs Minister Sushma Swaraj earlier this week. 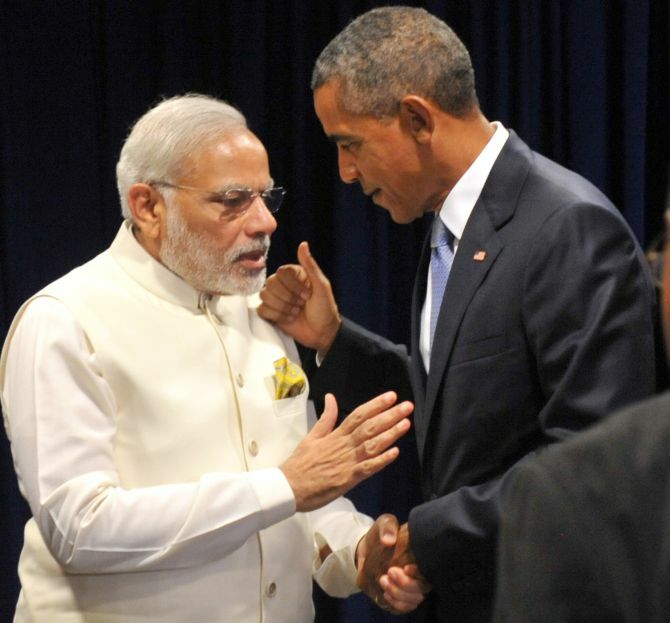 'In fact, assuming US-India security relations continue to deepen, Washington could in due course help enhance India's capacities to take out anti-India terrorists,' says Michael Kugelman. On Thursday, India may have fired the opening salvo of a new campaign of covert activities in Pakistan. If so, it got off to a rather bizarre start. India announced it staged a 'surgical strike' across the LoC that took out seven terror facilities and killed multiple terrorists. In effect, New Delhi went public -- in a big way, with press conferences and official statements -- about an operation that is typically kept under wraps. Nitin Gokhale reveals how planning for the surgical strikes began hours after the Uri attack. On Thursday morning, a long-standing taboo in the minds of India's strategic decision-makers was broken. As news about the Indian Army's surgical strike on terrorist camps in Pakistan occupied Kashmir broke around noon on Thursday, it was clear that India was no longer afraid of a possible escalation with Pakistan, its empty nuclear threat notwithstanding. The die is cast. By opting to carry out a “surgical strike” on terrorist launch-pads across the line of control (LoC) in Jammu & Kashmir, India has taken the first, halting, step away from being a soft-soft state. We now need to brace for Pakistani retaliation, and, if we continue to think strategically on how to respond to that at levels below the threshold of war, we will be on our way to becoming a soft-hard state. That is, a soft state with has a capacity for making hard choices; a hard state that can combine effective defence with offensive capability. We don’t need to become a hard-hard state like Israel, but we do need to become a soft-hard state that combines the best of both worlds. The high-resolution imagery and intelligence that was required to conduct the successful surgical strikes in Pakistan-occupied Kashmir were provided to the Indian Army by the Indian Space Research Organisation’s (ISRO) Cartosat series of satellites, namely Cartosat-2, 2A, 2B and 2C. They are often referred to as India’s ‘eye in the sky’. "We've been providing images to the armed forces, the army in particular," a source from ISRO told The Times of India. According to IANS, the earth observation satellites are managed by ISRO, but the use of satellite's payload or equipment dedicated for strategic use is decided by the defence forces. With the capability of providing high-resolution images of up to 0.65m, the Cartosat 2A satellite proved to be the guiding eye for Indian soldiers behind enemy lines. As India reviews the Indus Waters Treaty, Nawaz Sharif says no one country can walk away from the Treaty. But as it turns out, India can separate itself from the Treaty on its own – and within the norms of international law. Pakistani Prime Minister Nawaz Sharif has gone on record saying that no one country can unilaterally separate itself from the Indus Waters Treaty of 1960 (the Treaty). This comes at a time when Pakistan has approached the World Bank, seeking to invoke the arbitration clause in Article IX of the Treaty to prevent India from exercising its rights to the maximum extent permissible under it. The Provisions of this Treaty, or the provisions of the Treaty as modified under the provisions of Paragraph (3), shall continue in force until terminated by a duly ratified treaty concluded for that purpose between the two governments. Hillary Clinton, the Democratic US Presidential nominee has gone on record to voice concern over the possible threatening scenario of Pakistan’s tactical nuclear weapons falling into the hands of jihadis. According to media reports, Hillary said, "Pakistan is running full speed to develop tactical nukes in their continuing hostility with India …..we live in fear that they're going to have a coup, that jihadists are going to take over the government, they're going to get access to nuclear weapons, and you'll have suicide nuclear bombers". Fears expressed by Hillary have been expressed by many in the past as well, but coming from her, a former Secretary of State and now Presidential nominee, they have special meaning. However, given the recent record of activities of the Pakistani government, the jihadist takeover of Pakistan is already underway. In fact, the midpoint may have been crossed already taking a cue from from Pervez Hoodbhoy, Professor of Nuclear and High Energy Physics, Quaid-e-Azam University, Islamabad, who wrote in August 2011. "An extremist takeover of Pakistan is probably no further than five to 10 years away. The common belief in Pakistan is that Islamic radicalism is a problem only in FATA, and that madrassas are the only institutions serving as jihad factories. This is a serious misconception. Extremism is breeding at a ferocious rate in public and private schools within Pakistan’s towns and cities. Left unchallenged, this education will produce a generation incapable of co-existing with anyone except strictly their own kind. The mindset it creates may eventually lead to Pakistan’s demise as a nation state." Most analysts tend to judge India’s reform process based on whether the government proactively initiates new reforms. We at CSIS are no different, having launched our “Reforms Scorecard” last year, tracking progress on 30 major reforms pending from the day Prime Minister Narendra Modi took office in May 2014. However, beyond market-liberalizing reforms, businesses in India also face a fast-changing regulatory environment that makes long-term business planning a difficult task. The government has often articulated a goal of establishing a more thoughtful approach to regulation, but it is far from implementing a plan to achieve this. Given market access improvements, and an undoubtedly large market, regulatory transparency and predictability is garnering more attention as a precursor for even greater levels of investment. Commerce activity can be found in practically any environment. But for investors to commit substantial amounts of capital to scaling up a business and hiring workers, the company’s leadership must have confidence in its long-range market forecasts. This allows executives to judge the true merits of investment in one market versus another, and includes three primary factors. Dr. Thomas McNaugher is Senior Visiting Professor and Director of Studies at the Georgetown University Security Studies Program. Over the past 20 years China’s military spending, a low priority in the 1980s, has grown, in real terms, at roughly 11 percent per year. At the same time, the focus of China’s military strategy has pivoted sharply from an army-centric “people’s war under modern conditions” aimed to blunt a Soviet attack from the northwest to an air and naval force–centric emphasis on “local wars under informationized conditions” along the country’s long coast, with the United States as the principal adversary. It has been a prodigious transformation, modeled after—and surely provoked by—the U.S. military’s own transformation. And from a distance, China seems to be doing remarkably well. A largely obsolete inventory of 1950s Soviet weaponry—“the world’s largest military museum,” as one wag put it—has been replaced by an array of far more sophisticated weapons: a prototype “fifth generation” fighter, an aircraft carrier (with one or two more on order), diesel and nuclear submarines, air defense and surface-to-surface missiles of ever-increasing range and accuracy including the notorious DF-21C, and an antiship ballistic missile meant to keep U.S. carriers outside the so-called First Island Chain. On the personnel front, a shrinking People’s Liberation Army (PLA) has become more professional, better educated, and more highly trained. The lights dimmed inside the Shenzhen Bay Sports Stadium as the countdown to the match began. "Wu, si, san, er, yi!" A chime sounded and two teams of robots sprang into action across an intricately constructed battlefield. In the stands, thousands of fans cheered, and groups of small children beat red and blue balloons together, producing a percussive roar. Each team had four rovers, nimble infantry units that quickly spread over the terrain. The rovers were shaped like small cars, but could also slide side to side, strafing like water bugs over the surface of a lake. They fired small plastic marbles from cannons mounted on top of their frames. Lumbering alongside the nimble rovers was each team’s hero, a larger tank-like robot that could fire the small plastic marbles as well as more powerful golf balls. The heavy favorite in this matchup of RoboMasters, an annual competition held each summer, was team 1.5S, returning champions hailing from China’s University of Electronic Science and Technology in the Sichuan province. They were taking on StarPro, from the Huazhong University of Science and Technology in Wuhan. A year ago, presidents Barack Obama and Xi Jinping stood next to each other anddeclared that neither the U.S. nor Chinese governments “will conduct or knowingly support cyber-enabled theft of intellectual property, including trade secrets or other confidential business information for commercial advantage.” Despite a great deal of warranted skepticism about the agreement initially, much of the heat surrounding cybersecurity in the bilateral relationship has dissipated. It is Russia, and the alleged hacks of the Democratic National Committee andWorld Anti Doping Agency, that now dominates the headlines and drives much of U.S. cybersecurity policy discussion. Download PDF file of "Estimates of Chinese Military Spending"
What are we going to do about the Russian hacks that have wrought havoc across the entire political spectrum and are rapidly shifting from being an embarrassment to, possibly, being strategically crippling? The body count of ruined careers aside, sizeable harm is being done to our political process and a likely intelligence loss as foreign actors rummage through the personal and aliased emails of our leadership. If recent history is a guide the answer was — and remains — not much. Defense Secretary Ash Carter recently declared that America “will not ignore attempts to interfere with our democratic processes,” while pointing straight at Vladimir Putin’s Russia, believed by almost everyone to have hacked the Democratic National Committee’s computers with an eye on influencing the presidential elections, Carter went further, calling out Vladimir Putin’s state: “The choice is Russia’s to make, and the consequences will be its responsibility.” Stirring words, but they beg the question: What are the consequences? This is not a Teddy Roosevelt “Speak softly and carry a big stick” moment. This is a, “speak softly, talk about a big stick, not sure how the decision gets made to use it” moment. Heck, while we are at it, we can’t even figure out who’s on first when it comes to wielding said stick. This observation is not meant to deprecate Secretary Carter’s initiative. It is essential that Carter puts his weight behind coming up with a response. But he is not the sole steward of the response process. The government as a whole is organizationally sclerotic and scattershot in this area. No single entity or individual is operationally charged with America’s response in the event of a cyber-attack on the homeland. Summary: Lost amidst his bombast and folly, Trump has challenged key bipartisan policies of US elites. That is why they hate and fear him. That’s why attacks on him seldom mention issues, focusing instead on his character and language. Better to spin fantasy (he’s a Hitler) then remind the public that Trump dislikes globalization and mass immigration — as so many of them do. Criticism of globalization is Trump’s most dangerous theme; here anthropologist Marximilian Forte reminds us that some top economists agree with him (see the links at the end for other examples). There are at least two main reasons that past reformist approaches to IMF-imposed austerity measures, market deregulation, trade liberalization, and privatization — some of the core tenets of neoliberal globalization — have largely fizzled out. One is that institutions such as the IMF are thoroughly undemocratic, unrepresentative and accountable, just as they are maniacally ideological, unresponsive and thus resistant to change. Another is that some of the proposed reforms are almost worse than what is to be reformed — or they can seem that way with the passage of time. One example would be the proposition that if “free trade” has been unfair to the developing world (because it is not free when developed nations maintain subsidies, tariffs, and other domestic protections), then the best way to havefair trade is to make it free absolutely everywhere. What this now looks like is a generalization of misery — but it’s “fair” if it’s evenly spread. As massive job losses have swept the “developed world” in a rising tide of de-industrialization with the advent of a battery of free trade agreements, few remain who would call this a positive step forward. Dr. G. Stephen Lauer is an Assistant Professor at the U.S. Army School of Advanced Military Studies. He is a retired U.S. Marine Corps Infantry Officer and served as the first Chief of Florida Domestic (Homeland) Security from 2001 to 2004. According to Army Doctrine Publication (ADP) 3-0, Unified Land Operations, “Operational art is the pursuit of strategic objectives, in whole or in part, through the arrangement of tactical actions in time, space, and purpose.”1With this definition, the U.S. Army broke with both its prior doctrinal paradigm of an operational level of war and the joint model in Joint Publication (JP) 3-0, Joint Operations, of the three levels of war.2 In contrast to ADP 3-0, however, Army Doctrine Reference Publication 3-0, Unified Land Operations, emphasizes the joint definition, acknowledging an operational level: “Operational art is applicable at all levels of war, not just to the operational level of war.”3 Thus, a contested delineation of operational art entered the cognitive space of schools and commands throughout the Army. This article is not specifically about whether there should or should not be an operational level of war; rather, it is concerned with the concept of “doctrine” and its relationship to history and theory in the context of an operational art. A new survey of existing and planned smart weapons finds that AI is increasingly used to replace humans, not help them. The Pentagon’s oft-repeated line on artificial intelligence is this: we need much more of it, and quickly, in order to help humans and machines work better alongside one another. But a survey of existing weapons finds that the U.S. military more commonly usesAI not to help but to replace human operators, and, increasingly, human decision making. The report from the Elon Musk-funded Future of Life Institute does not forecast Terminators capable of high-level reasoning. At their smartest, our most advanced artificially intelligent weapons are still operating at the level of insects … armed with very real and dangerous stingers. Philip Gordon is a senior fellow at the Council on Foreign Relations. From 2013 to 2015 he was special assistant to President Obama and White House coordinator for the Middle East, North Africa and the Gulf. One of Vice President Biden’s favorite sayings on foreign policy is to never tell another man or woman what’s in his or her interest. That is a good general rule; I heard him repeat the saying many times while I was working on Middle East policy in the White House. But when it comes to Russia’s recent actions in Syria, I believe the rule needs to be broken. Russian President Vladimir Putin may fancy himself a master strategist, but in Syria he is making a mistake that will come back to haunt him — and Russia — for a long time to come. With the Sept. 12 U.S.-Russia cease-fire agreement, the Obama administration offered Putin a way forward that from a Russian perspective could only have been described as a clean win. If fully implemented, the agreement would have prevented regime change in Damascus — a major Putin redline — for the foreseeable future; boosted Russia’s position as a major power in the Middle East; facilitated military and intelligence cooperation with the United States against terrorist groups; diminished a costly conflict; and secured Russia’s Mediterranean base. From Moscow’s perspective, that would not be a bad day’s work. Executives in emerging markets are newly optimistic for the future of their home economies, while respondents globally expect stable conditions in the world economy. For the first time since 2014, executives in emerging markets are more optimistic about their home countries’ prospects than are their peers in developed markets—and Latin America is a particular bright spot, according to McKinsey’s latest survey on economic conditions.1Respondents in the region,2long the most downbeat on economic conditions at home, report increasingly positive views on the state of their countries’ economies and are among the most bullish on future conditions. At the same time, executives in Latin America report increasing concerns over political issues at home—none too surprising, since Brazil’s Senate voted to impeach President Dilma Rousseff the same week the survey was in the field. Political risks (specifically, leadership transitions and domestic political conflicts) also top the overall list of threats to domestic growth. Despite these risks, respondents predict stability in the global economy in the coming months, with emerging-market respondents again more positive than developed-market executives. Mohandas K. Gandhi's own writings are well known to the world: through a series of books and anthologies under his name that appeared in his lifetime; and, more authoritatively and substantively, through the 97 volumes of the Collected Works of Mahatma Gandhi, published between 1958 and 1994, and put together and lovingly edited by a team of scholars headed by K. Swaminathan and C. N. Patel. These Collected Works are a vital resource for present and future assessments of Gandhi the writer; Gandhi the political activist; Gandhi the social reformer; Gandhi the religious pluralist; Gandhi the prophet; Gandhi the husband, father, and friend. Although the CWMG is both impressive and indispensable, the series does have one limitation. It gathers together the letters, articles, speeches written or made by Gandhi. It occasionally refers to a letter written to Gandhi in the footnotes, and sometimes reproduces a few such letters in the volumes' appendices. By and large, though, the CWMG presents a portrait of the world from the point of view of Gandhi himself. For a fuller understanding of the man, his times, and his legacy, we need to juxtapose, to the material collected in the CWMG, letters to Gandhi as well as letters about Gandhi. THEY do not naturally crave the limelight. But for the past decade the attention on central bankers has been unblinking—and increasingly hostile. During the financial crisis the Federal Reserve and other central banks were hailed for their actions: by slashing rates and printing money to buy bonds, they stopped a shock from becoming a depression. Now their signature policy, of keeping interest rates low or even negative, is at the centre of the biggest macroeconomic debate in a generation. The central bankers say that ultra-loose monetary policy remains essential to prop up still-weak economies and hit their inflation targets. The Bank of Japan (BoJ) this week promised to keep ten-year government bond yields around zero. On September 21st the Federal Reserve put off a rate rise yet again. In the wake of the Brexit vote, the Bank of England has cut its main policy rate to 0.25%, the lowest in its 300-year history. The Defense Advanced Research Projects Agency has awarded BAE Systems a contract for lightweight, handheld tactical sensors to provide better situational awareness and understanding of radio frequency signals. The solution utilizes technologies related to what has been termed cognitive electronic warfare, which uses advances in machine learning to rapidly identify and adjust to signals in the field. BAE’s handheld EW technology is capable of rapidly detecting and identifying multiple interfering signals such as jammers or communications signals across the spectrum using cognitive processing algorithms, an announcement from the company stated. DARPA was interested in the ability to figure out if signals exist in a particular environment and what those signals are, Apurva Mody, group leader of the Dominance, Awareness and Sharing group at BAE, explained. BAE developed a chip that enables advanced signal processing to know what those signals are, he continued. “We call it internally spectrum analyzing on steroids,” he said. When it comes to DDoS attacks, it’s easy to get distracted by the record-breaking size of the latest attacks. Like a strength tester fairground game, we are all mesmerised by the gigantic numbers involved as new DDoS attacks break previous records – such as the huge 470GBps attack on a Chinese gambling site earlier this year, or the reported602GBps attack against the BBC last year. But what do these numbers really mean? In truth, the increasingly sophisticated techniques that bad actors deploy are making the reported sizes of attacks increasingly redundant. For example, amplification techniques can intensify the size of attacks and simultaneously mask the source of attack traffic. House Homeland Security Committee Chairman Michael McCall is calling on Congress to increase spending on quantum computing research to ensure that the United States is the first nation to employ quantum computing as a tool to decrypt data. "We can't lose this one to the Chinese," he says. 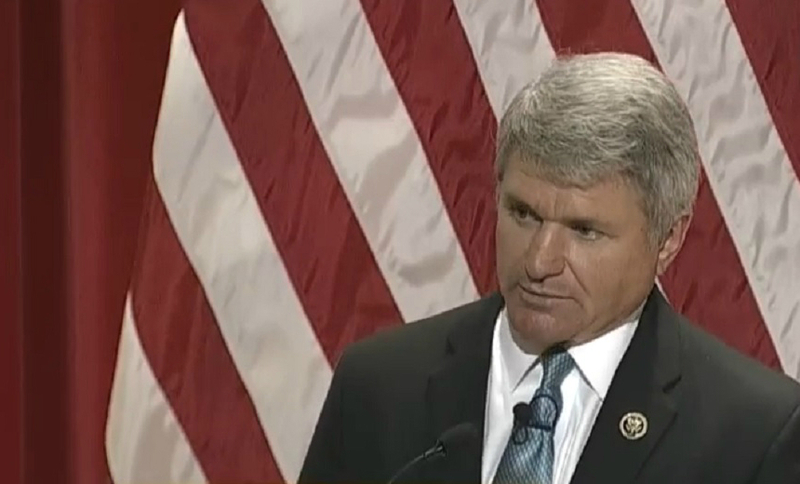 Speaking at a U.S. Chamber of Commerce cybersecurity summit Sept. 27, McCaul, R-Texas, noted: "If China develops quantum computing first, it would be a national security disaster. If we want to be first in this area, the federal government has to be driving this." McCaul compared the quantum computing race to the space race in which the United States landed the first person on the moon. "We want to be first in this; it's really important," he said. NEW DELHI — Sporadic shelling broke out along India and Pakistan’s disputed border in Kashmir on Thursday after India said it conducted an anti-terrorism strike inside the section controlled by Pakistan — marking a significant rise in tension between the two nuclear-armed rivals. India’s military said its soldiers had crept over the highly militarized border in darkness and struck at about half a dozen staging areas early Thursday where it said teams of militants were gathering, preparing to launch attacks both in the disputed Kashmir region and in unspecified cities across India. Full details have yet to emerge, but such a strike would be the most aggressive military action from India toward Pakistan in years and could mark a shift in India’s strategytoward its neighbor, which it has long accused of harboring terrorist groups. 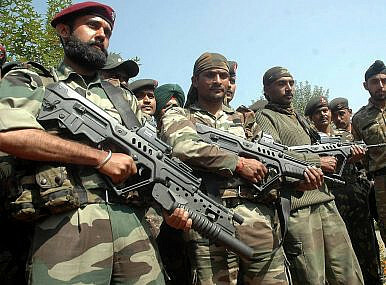 Early Wednesday morning, Indian Special Forces paratroopers crossed the Line of Control in Kashmir, carrying out “surgical strikes” against terrorist camps in Pakistan-occupied Kashmir. India has carried out cross-LoC raids in the past, but what’s notable about Wednesday’s strike, which comes in the aftermath of the Uri attack earlier in September, is wide public messaging regarding the strike. On Thursday, reports of the strike proliferated across the Indian press after a press briefing by Indian Director General-Military Operations (DGMO) Lt. Gen. Ranbir Singh. Based on very credible and specific information which we received yesterday that some terrorist teams had positioned themselves at launch pads along the Line of Control with an aim to carry out infiltration and terrorist strikes in Jammu & Kashmir and in various other metros in our country, the Indian army conducted surgical strikes last night at these launch pads. I was on the staff of the Senate Armed Services Committee (SASC) when the Congress created Program 11 and the Special Operations Command. That legislation was championed by Senator Bill Cohen who subsequently became secretary of defense (and elevated me to become his deputy). It is worthy to reflect on these developments and think about where we are today. The push to create a separate structure for Special Forces was spurred by early experiences with terrorism. The committee was generally familiar with special capabilities that were created in the 1980s and 1990s to deal with unique terrorist incidents. I remember one incident that riveted the attention of the committee, and that was a real-world episode when a commercial aircraft in Europe was hijacked by terrorists. At that time we struggled to build a counterterrorism capability that could rapidly be deployed to address the ongoing episode. The Army had a Special Forces capability that could be helpful, but we lacked the overall organizational structure to make timely decisions and timely use of these resources. The Special Forces community sensed an opportunity. There was a broad-based concern about unique counterterrorism capabilities, but the Special Forces community saw this as an opportunity to boost its standing within the Defense Department. Most members of the SASC thought they were voting to create a unique counterterrorism capability, while the Special Forces community saw it as an opportunity to establish a unique and stronger identity within the department, almost a fifth military service. India’s recently announced blockbuster $8.7 billion Rafale buy could be seen as a dogged, hard-fought victory for Dassault Aviation SA and France’s defense sector. But the deal is less deserving of celebration than it might appear. The challenges that Dassault and other leading aerospace companies faced in the nine-year saga leading up to the sale will become a fixture in the 21st century defense marketplace. Export deals matter more than ever to Western defense contractors, whose sales at home have come under sustained budgetary pressure going on a decade. But the emergence of non-Western industrial rivals and the proliferation of countries desperate to boost their domestic defense industry have stiffened the competition on doing business abroad. They have also made nearly every international competition a certain occasion for colossal headaches and heartbreak. From Israel to South Korea, and even such countries as Saudi Arabia which has historically been a reliable customer of Western defense firms, more governments are stepping up their efforts to spawn, incubate, and promote indigenous defense production.